The Securities and Futures Commission in Hong Kong is looking to regulate cryptocurrency exchange platforms in the country. While the organization has issued warnings in the past, the increasing number of cryptocurrency trades is making them anxious and concerned. Although no international market has clear regulations for cryptocurrency exchanges, many of the global large exchanges are open and keen to work with regulators to make the industry a safer place. The Hong Kong Securities and Futures Commission (SFC) is keen on exploring different ways to regulate cryptocurrency exchange platforms operating in Hong Kong to protect retail investors. According to a South China Morning Post (SCMP) article published on Oct. 15, the Hong Kong watchdog believes that a total ban is not effective and it is currently concerned with the lack of regulations in the nation. 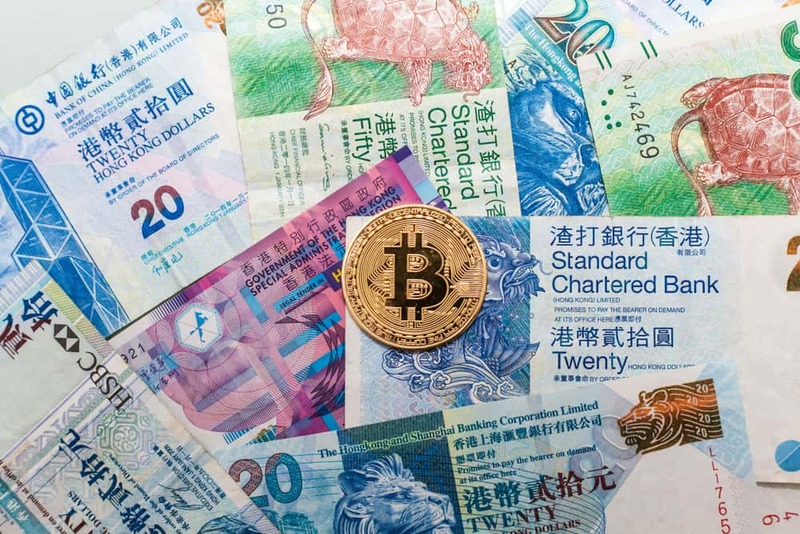 Although the SFC is eager to take action and roll out formal cryptocurrency regulations, the Hong Kong financial watchdog is technically restricted to the securities asset class. Nevertheless, it has expressed strong interest to regulate the cryptocurrency industry. When it comes to regulations, SFC Chairman Carlson Tong Ka-shing, however, does not want to follow in the footsteps of China and its blanket ban of September 2017. Although Hong Kong currently lacks clear regulations for the cryptocurrency industry, the SFC has, however, issued many warnings in the last few months to retail investors, reminding them to be cautious when trading in digital currencies. It has also reminded cryptocurrency exchange operators to follow existing SFC rules and regulations. According to the SCMP, Hong Kong cryptocurrency exchanges have responded positively to the news. Angelina Kwan, chief operating officer of BitMEX, is open to working closely with the SFC on any proposed regulations. She mentioned in a phone interview with the SCMP that she hopes any new guidelines or regulations will keep up to pace with the cryptocurrency and blockchain industry. While most people think that regulations can hinder and restrict the cryptocurrency and blockchain industry, Kwan believes otherwise and looked to the US as an example. The US has introduced regulations concerning cryptocurrencies. There are also futures products being traded by the CBOT and CME Group, which provides great evidence that regulations and authority can be extremely helpful to a new and emerging industry. Kwan hopes that by being transparent and open with information, international regulators will recognize the importance of cryptocurrencies and gain a better understanding of them as a new asset class. Other cryptocurrency exchanges operating in Hong Kong, like US-based Circle, are also aware that they are currently operating in a nonregulated space. Jeremy Allaire, founder and CEO of Circle, mentioned that they are, however, paying close attention to the regulatory landscape in Hong Kong. He said that they will proactively work with authorities to ensure that they abide by certain requirements and they recognize that the emerging cryptocurrency industry can hold significant risks for many investors. An enthusiastic financial journalist, content creator, and digital marketer. Cindy is currently a digital nomad with a background in edtech and martech. She previously studied business commerce and is a co-founder of the startup "Content Craft." Cindy's work has been published on coinsquare.io, ccn.com, and cryptonomos.com.